Who'll rise up to the challenge at the front? Bahrain truly saw the birth of a future star. While Charles Leclerc has impressed numerous times over the course of his junior career, it was Bahrain where he laid down his hand, and perhaps his intentions for the season ahead. For a 21-year-old with 22 Grand Prix starts to his name to match the challenge of leading a race for Ferrari of all teams was hugely impressive. Even more so was his ability to fight back after a poor start and reclaim the first spot after dropping to third on the opening lap. 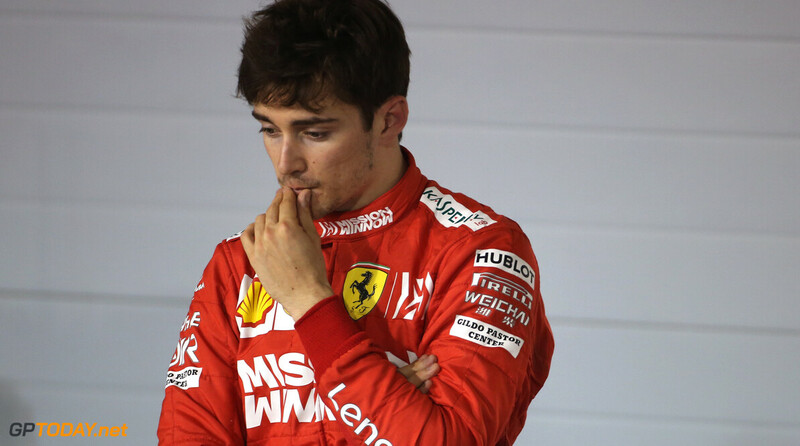 Leclerc was unfairly robbed of his first Grand Prix win, and you can bet that he will be targeting it this time around in China. But with Sebastian Vettel and Valtteri Bottas looking to bounce back strong after a poor result in Bahrain, that will make Leclerc's task all the more difficult. Throw in Lewis Hamilton's raw speed and consistency, China will see a very intriguing battle up at the front. Of course, a lot will depend on which team can deliver the pace, but if it is to be an even fight, it will take a steely weekend from a single driver to come out beaming. Can Renault re-group and produce the goods? Renault has already admitted that it has fallen short of its expectations so far in 2019. After an Australian Grand Prix that saw Nico Hulkenberg score points despite a double Q2 dropout for the team, Bahrain was a heartbreaker for Renault. It was set to score points for both drivers, which was going to very impressive as Nico Hulkenberg dropped out in Q1 and Daniel Ricciardo was placed on a difficult one-stop strategy. After two races, it sits seventh in the constructors' standings, which is not a good look considering this was meant to be the year that it started to close in on the front-runners. There is nothing to suggest that it can't do that as the season goes on, but results need to start forming soon for it to demonstrate that it can seriously push towards the front. Renault has two very capable drivers, arguably one the best line-ups on the grid. It just needs to feed out the pace of the car, and the sooner it does that, the better for it and its mission. Will the rookies continue to impress? All three drivers who made their first Grand Prix starts at the 2019 Australian Grand Prix have impressed during their opening two races. Let's first talk about the man who is perhaps most difficult to judge, through no fault of his own - George Russell. Russell has been handed an uncompetitive car for the 2019 season, and in reality, can only hope to beat his teammate Robert Kubica. But even that is not what he is aiming for, and the word is that for some reason, Kubica's car is reading differently to Russell, despite the same set up. All Russell can do at the moment is put on a brave face for the media and keep it out of the walls - which he is so far doing. Turning to Alexander Albon, the Thai-British driver has out-qualified teammate Daniil Kvyat at the opening two rounds of the year, and hasn't been shy of battling with his rivals at the opening two races. Picking up his first points in Sakhir, it's been a respectable start for the 22-year-old, who only drove a Formula 1 car for the first time around two months ago. He's justifying Red Bull's decision to bring him into the junior team, and with the ruthlessness of Toro Rosso's ideology of demoting drivers, he has started his case for a 2020 seat on the strong foot. Lando Norris' Bahrain Grand Prix couldn't have gone any better really, as he found himself crossing the line at the front of the midfield pack. The young Briton is quietly getting the job done at McLaren, as it looks to resurge itself towards the front of the grid after a handful of years struggling. The McLaren outfit certainly feels a lot more positive this year, or perhaps that is simply exaggerated when contrasted with how bad the team was at the end of the 2018 season. Nevertheless, Norris hasn't put a foot wrong so far and despite being the youngest driver on the grid, he hasn't let that affect him in the two races he's competed in so far. Got a question you want to be featured? Comment below or email your enquiry to f.walsh@gptoday.net and we may include it in our next preview!